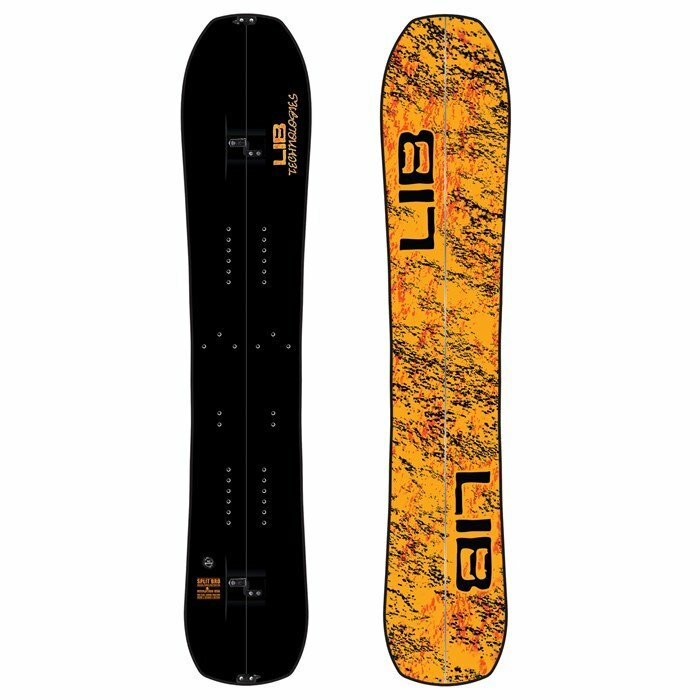 Lightweight and swift on the ascent, yet playful and easily maneuverable on the descent, the Lib Tech Split BRD Splitboard is the perfect all-around split. The extended nose shape and early rise C3 contour makes for easy float through deep conditions while also providing strong edge hold on hardpack. Mount up the super light, Karakoram hardware equipped Lib Tech Split BRD Splitboard and set yourself up for epic alpine adventures! C3 Camber Profile  Aggressive camber at both the tips and tail with a mild rocker profile between the bindings. Medium Flex  The most versatile flex because it is equally responsive and friendly giving riders peak performance all over the mountain. Floaty Early Rise Nose  For effortless descents. Split FP Firepower Construction  Lighter. EnvironMENTALLY nicer. Smooth. TNT Base  Fast and low maintenance dual layered fluoro base material. Wax it or maybe skip a day and it will go unnoticed. 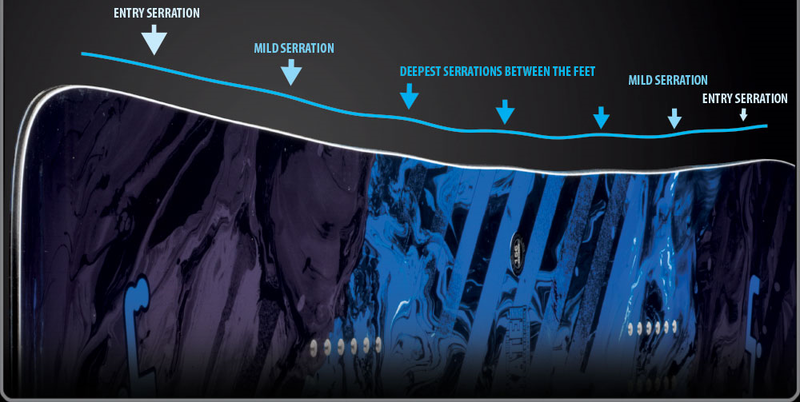 Magne-Traction®  7 Strategically located edge serrations provide unreal edge hold and control in all conditions. Turns ice into powder. Bio Beans Topsheet  ExperiMental division leader Mike Olson loves beans! When he's not eating them, he's buying plastics made with them. Lib Tech has made a commitment to using a new earth-friendly, bio-plastic top skin made from beans that features the highest strength-to-weight ratio of any top sheet in the industry. Lightweight, Stainless Steel Karakoram Ultra Clips  For easy use, maximum assembled compression, and minimal seam shearing or rattle. 3D Integrated Clip Insert Mounts  Eliminate the need for clip T bolts. Splitboarding A splitboard snowboard is built specifically for the backcountry rider. Splitboards are designed to break down into two separate halves for touring and uphill travel (with climbing skins). Special bindings are required as well. Once you've reached the top of the terrain feature, you reconnect your splitboard for the ride back downhill. However, it's important to note that you will need appropriate backcountry tools, knowledge of the backcountry, weather and snow conditions and climbing skins to safely take advantage of the freedom of a splitboard.